There are days when getting to the gym or studio for barre class is out of the question. Maybe you are feeling too busy to make it to class. 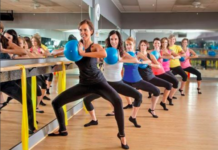 Maybe you are new to barre and too shy to try a workout in a class setting just yet. The good news is, that does not mean you have to skip your workout. What is great about the internet is that there are plenty of workouts available to us via YouTube. Many talented instructors who are looking to grow their fitness brand are ready to share their fitness passion and help us stay fit from the comfort of our own homes. Check out these four YouTube channels that we are working out to this month. The best part of Shauna Kathleen’s workouts is that she offers a variety. The variety comes in a few ways. First, there is the length of the workouts. You could do a short video focusing on a specific part of your body, or you could do a full barre workout for 40 minutes. The videos also show Shauna doing her workouts in a studio or gym setting as well as in the comfort of her own home. In one video you can even see her using a chair as a barre. This is great because it shows you that there are no excuses! Even without owning a barre, barre is accessible and effective with basic household objects. 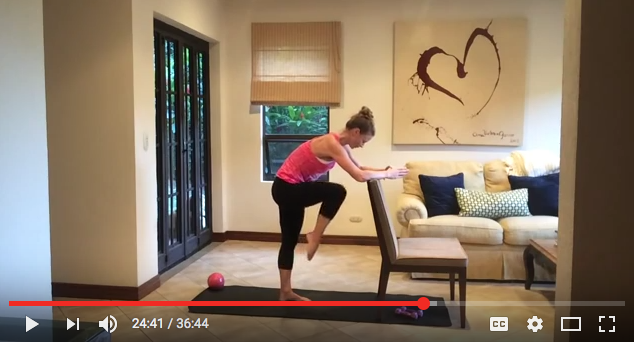 Ella Jotie is the creator of Barre Fitness and leads the mini classes in her YouTube videos. My only complaint, she needs to make more videos! The longest video is 16 minutes and the average video length is 8 -12 minutes. The best part is you feel it with Ella after an 8 minute video. She talks to you while she teaches and you can tell she is truly enjoying herself as she instructs, which makes you enjoy it. She gives the perfect amount of cues to help you check your technique at home too, and does so without overwhelming you with too much information. If you really want to channel your inner ballerina, this is the YouTube barre channel for you. The ladies of Sleek Technique are professional dancers and bring the most classical ballet to their workouts. This is great especially for those who miss their days in ballet class and dance recitals. They do use a lot of classical positions and terminology but don’t be intimidated! They talk through the exercises and demonstrate so you can easily follow along! Hint: Popsugar will require you to not just google search “Popsugar” but “Popsugar Barre” as Popsugar brings in famous celebrity trainers of all fitness genres to teach in YouTube videos. However, not surprisingly there are a ton of barre experts on the channel. Among the options are Booty Barre creator Tracey Mallett going through a 10 minute “The Look Good Naked Barre Workout” which take traditional barre workouts and adds a little bit of a dance-y feel to it. Then there is a 10 minute Cardio Barre workout with instructor Gabby Sansosti. Plus, there are a ton more video options for barre! What is great about Popsugar is that the host of Popsugar fitness is just like us and does all the workouts with the celebrity trainers. She will let us know that she is having fun and feeling the challenge of each workout too. Which workout channel for barre is your favorite? Are there any others we should be checking out?